Your property in & around North Redington Beach can be a precious investment, but majority of the owners find it too challenging & time-taking to market their property properly and manage tenants (alongside cleaning and maintenance issues), particularly if you are living far from your property. If this is your case, then you are a perfect candidate for our full-service North Redington Beach property management solutions. We specialize in managing residential property & can transform your investment property into the worry-free investment that you have been looking for. Professional marketing approach to give proper exposure to your investment property. Local maintenance service to maintain your home in absolutely rentable condition to provide you maximum income. 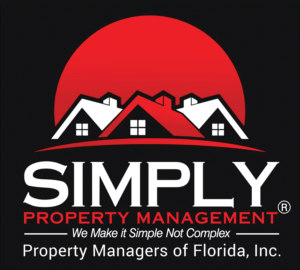 Our property managers & support staff brings several years of property management knowledge to the exact areas & neighborhoods of North Redington Beach, FL. Our expertise and knowledge on area rental trends, continuous education, proper insurance and licensing offer our clients the trust & confidence they deserve being a property owner. We will prepare a comprehensive market study during the leasing process which eventually will keep you notified about the present market trends. As we give utmost priority to owner communication, you don’t have to wait several days to get a response from our property managers. To maintain long-term relationship with our clients, we know communication is the key and always stick with that principle. This is why we are the leader when it comes to North Redington Beach property management service. Several small landlords manage their property investment to supplement their income. Nonetheless, this business approach can sometime feel overwhelming, particularly if you are over-involved with showing properties or screening potential renters, or frequently tackling the maintenance routine usually associated with older homes. Even small investors having single-home properties usually struggle to fight against large multi-unit properties equipped with full time property management staff. This is where our local property management team comes to play. Our property managers are real-estate experts who know the most productive marketing plans for rental homes. They also have access to most effective search tools for executing background checks when screening prospective renters. Let us do your North Redington Beach property management and give you the additional income and peace of mind you are looking for. We are pretty sure that you won’t be disappointed with our services.